One of the key reasons to have a continuously running backup, whether to local storage or a cloud-backed provider, is to restore files you accidentally delete. Time Machine makes hourly, daily, and weekly backups, but only stores the least number of files possible to maintain that. So an unchanged file across many months only appears once in the backup. As Time Machine makes hourly backups, it drops the oldest (the 25th hour, more or less) as it goes. It keeps one of those hourly snapshots as a daily snapshot, and it drops older daily backups, keeping just one for each week. Weekly snapshots get deleted as a disk becomes too full to retain them. You can use the interactive Time Machine restore while running macOS to go back in time through snapshots to find deleted files or earlier versions of files that are current. However, when you use Migration Assistant in setting up a Mac or Restore from Time Machine Backup in macOS Recovery, you can only restore the very latest snapshot—unlike with iOS, there’s no option to choose a particular snapshot. But after restoring, you can adopt or “inherit” the Time Machine backup for the new or recovered installation. 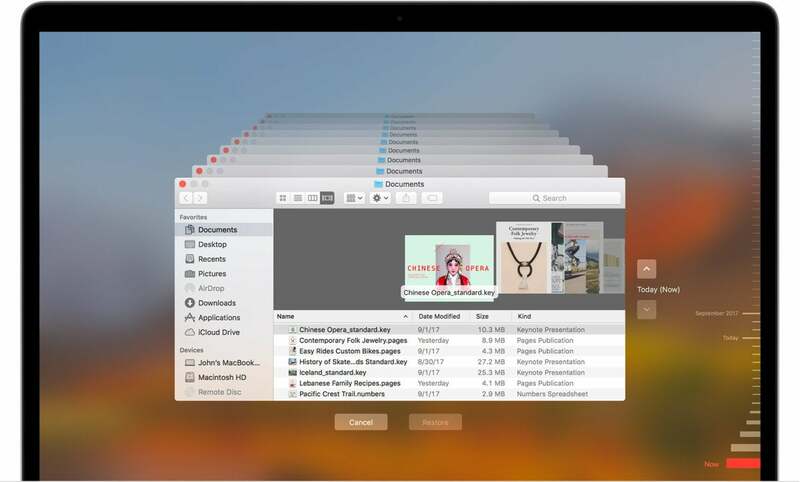 Once adopted, that Mac can browse through Time Machine snapshosts just as if it were the previous Mac. By Glenn Fleishman.